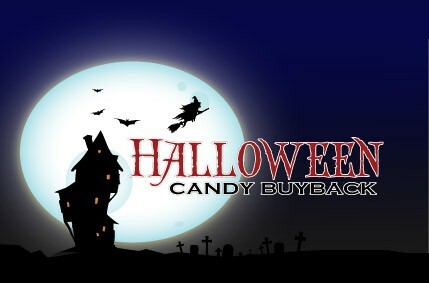 Fifth Annual Halloween Candy Buy Back Event! Trade in your Halloween treats for Cash! Receive $1 for every pound you bring (up to 5 pounds/per child) for UNOPEND candy treats. All candy donations will be sent to Operation Gratitude, an organization that creates care packages for our U.S. troops and veterans. Tuesday November 3, 2015 from 2:00 p.m.-5:00 p.m.